Dragon-i Restaurant, an establishment that certainly needs no further introduction. 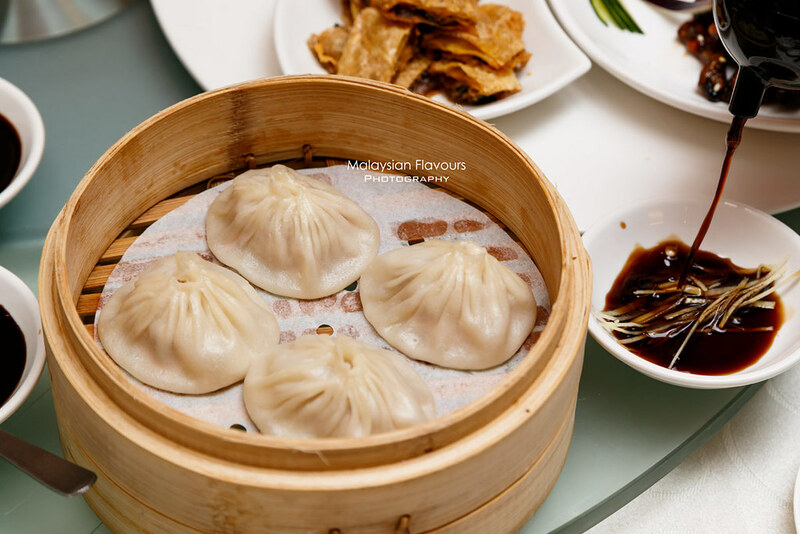 It is one of most successful Shanghainese restaurant chains in Malaysia, carrying over 15 outlets across the country, and still counting. 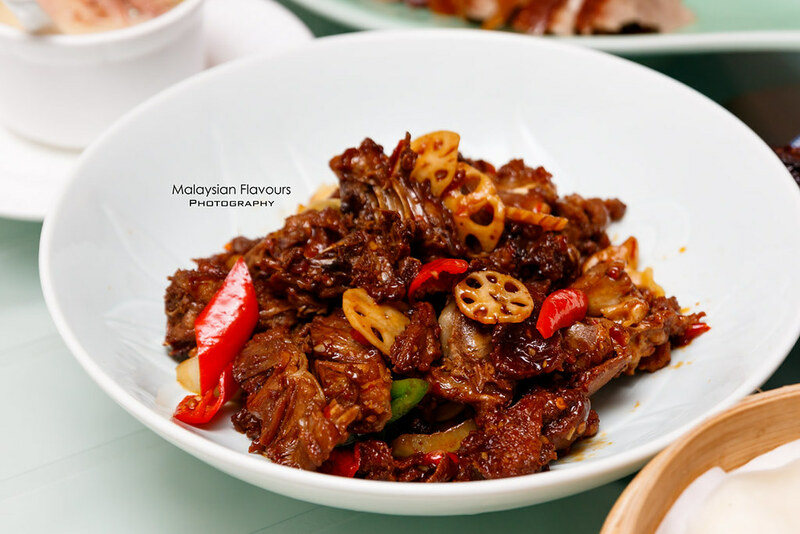 Diners can find them in shopping malls like Sunway Pyramid, Mid Valley, The Curve, IOI City Mall Putrajaya, Dataran Pahlawan Melaka, Sky Avenue Genting Highlands, Queensbay Mall Penang, Ipoh Station 18, City Square Johor Bahru, Cheras Leisure Mall, 1 Utama Shopping Centre, Pavilion Kuala Lumpur, AEON Bukit Tinggi Klang, Gurney Plaza Penang and more. Among all these Dragon-i Restaurant, we notice that few of them are named differently, which is as “Dragon-i Peking Duck”. 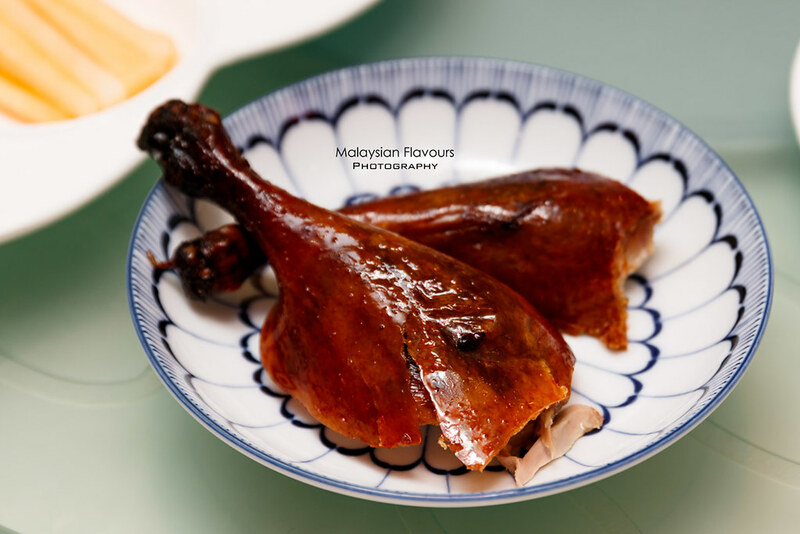 Dragon-i Peking Duck stands apart from the Dragon-i outlets with a fine-dining idea, exquisite ambience and special premium menu that highlights Shanghainese and Huaiyang delicacies; not to forget, authentic Peking Duck roasted with fruit-tree wood fire. 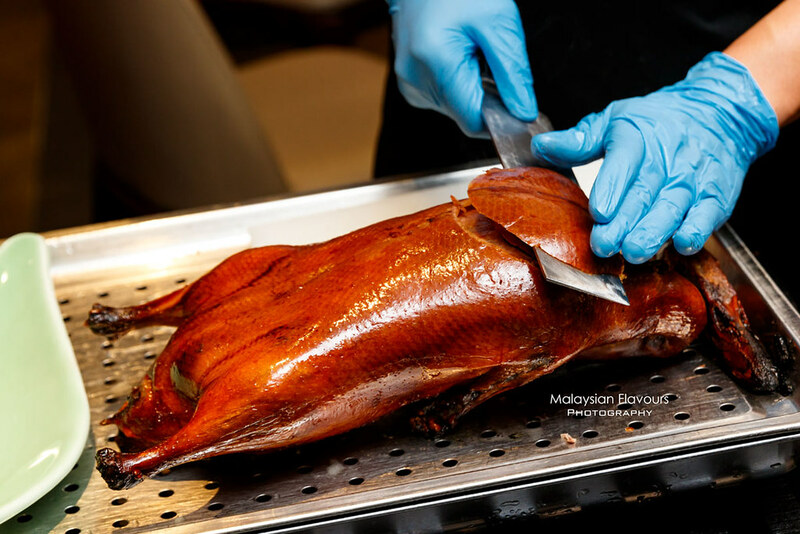 For now, Dragon-i Peking Duck is exclusively available only at 1 Utama, Sky Avenue Genting Highlands, Pavilion KL and Komtar Mall Johor Bahru. 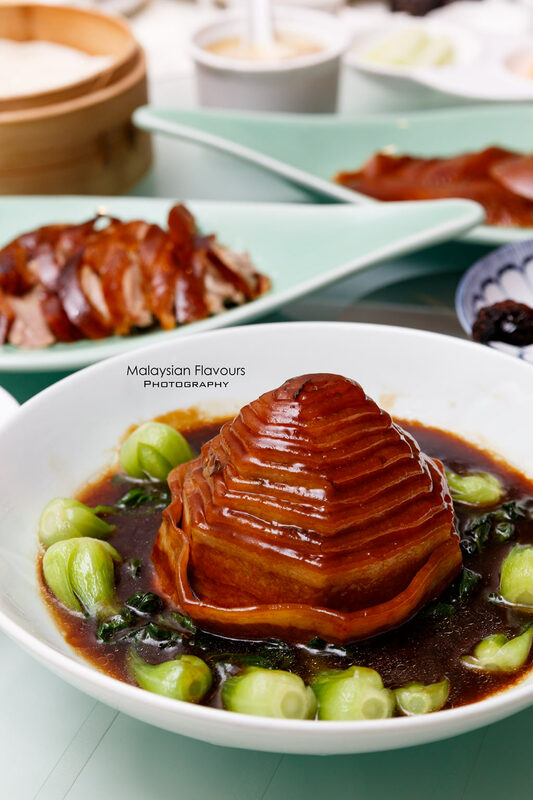 Visited the newly relaunched Dragon-i Peking Duck at One Utama Shopping Centre last week and had a gastronomic dinner, savouring authentic taste of the famous delicacy of Beijing. 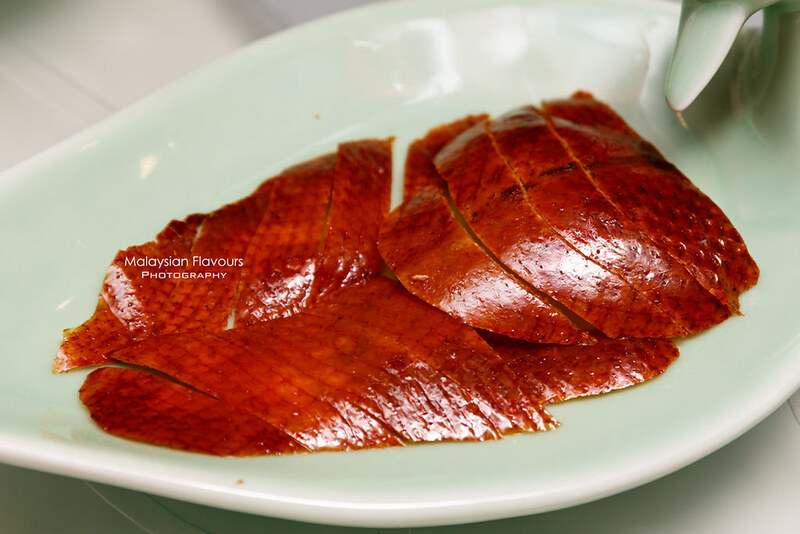 Began with the star of all – Peking Duck 北京烤鴨. The first course is a DIY wrap, like making a popiah. Take a piece of thin pancake sheet, spread on some homemade BBQ sauce, layer up crispy duck skin, duck meat, julienne cucumber, green onion, honey lemon – wrap up and enjoy the myriad of textures in one go. Never fails to love this. 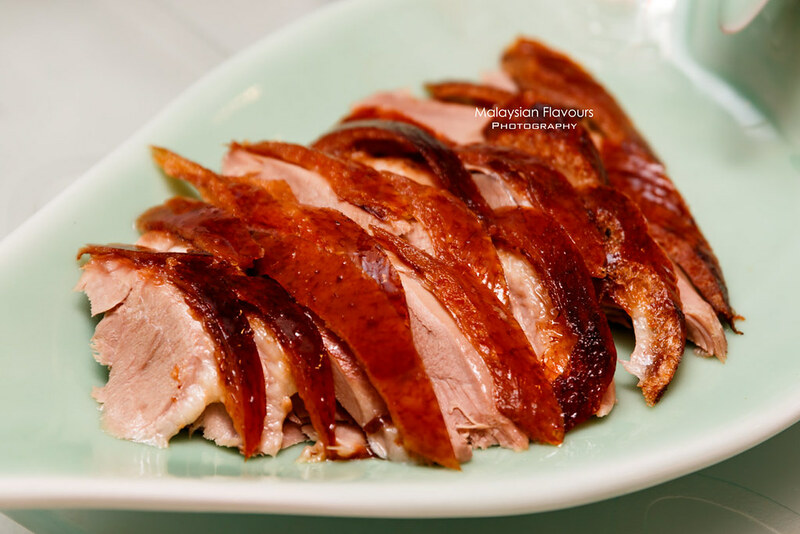 We enjoyed eating it on its own more – the crispy crackling roasted duck skin, flavourful duck meat with tinge of Chinese spices. Eye on that roasted duck drumstick though. Hehe. Nourishing, tummy warming, fits in right for the rainy days recently. 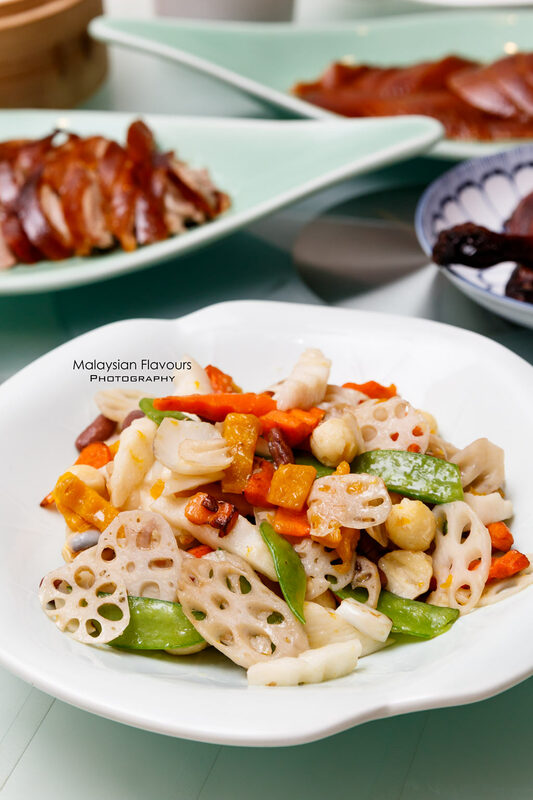 Dragon-i expands their Peking Duck repertoire in the third course, cooking up a special dish of your choice – Deep Fried Duck Bones with Salt & Pepper 椒鹽鴨架, Stir Fried Duck Bones in Hunan Style 湖南炒鴨架, Braised Rice Noodles with Black Truffle and Shredded Duck Meat黑松露鴨絲燜生麵. Meanwhile while waiting for other dishes, we took a peep at the roasting room for Peking Duck. Open-kitchen concept, so that guests can observe how the Peking Duck is prepared by experienced chefs, invited from Beijing, China. 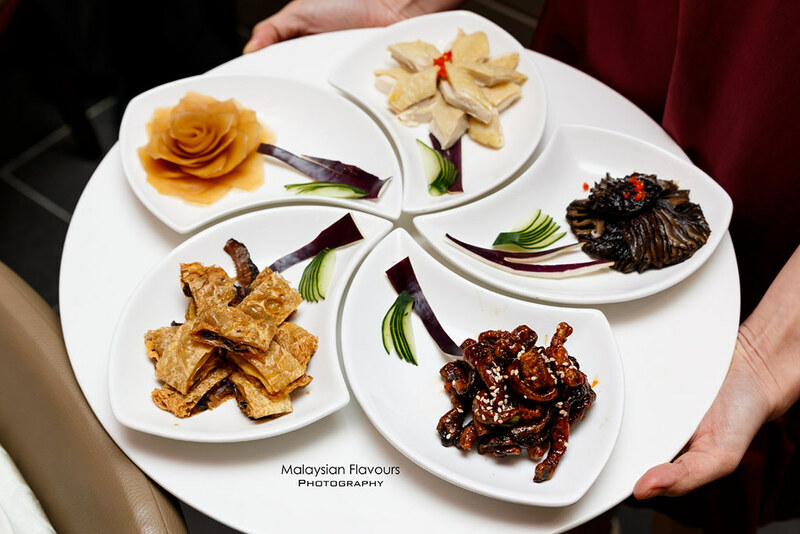 Appetizer platter arranged in the form of “blooming” flower. So beautiful especially the pickled radish! Our favourite? The Crispy Caramelised Eel. So crunchy and addictive, laced with pleasing sweetness, so good that we almost didn’t want to share. Lol. Braised Pork Belly with Steamed Bun, another favourite of ours. 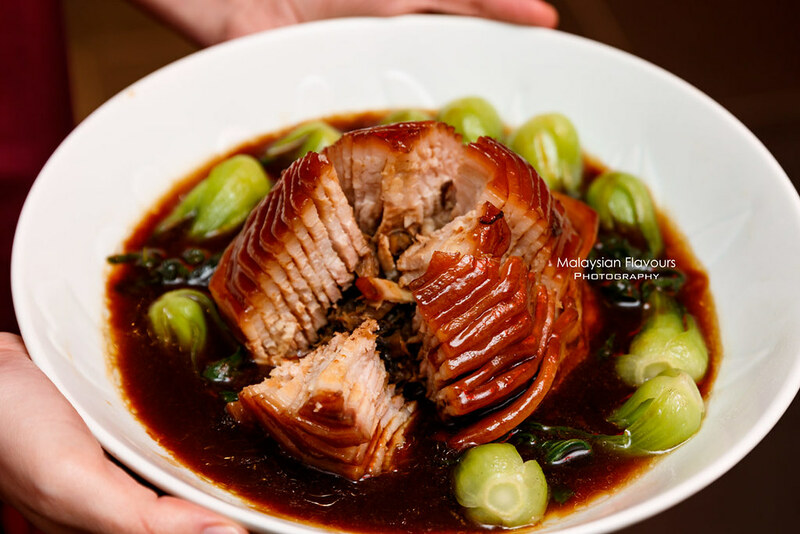 A dish with laborious preparation, starting by choosing high quality pork belly with good ratio of fat and lean meat, slow braised till tender soft. It is then sliced, wrapped and layered up to form a pagoda shape. 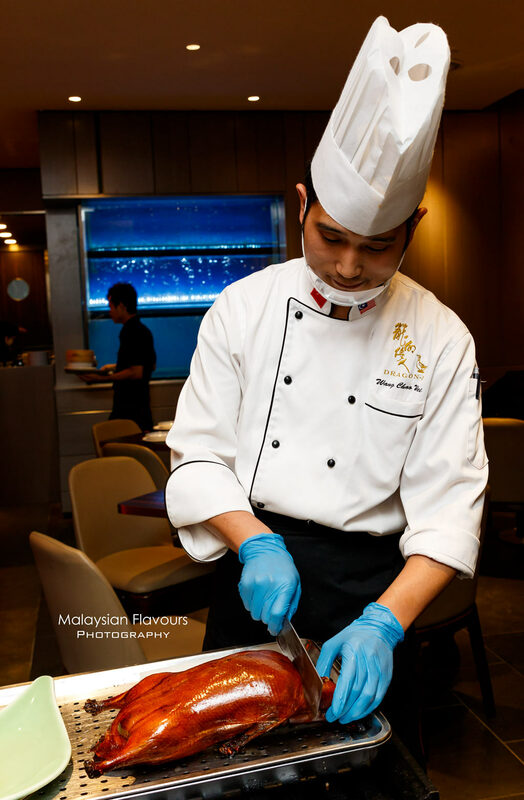 Next, Dragon-i Peking Duck in-house brown sauce, dressed over the meat for a alluring, glossy finish. Portion it and surprise was revealed inside! There’s mui choy, work well in balancing up the overall taste. 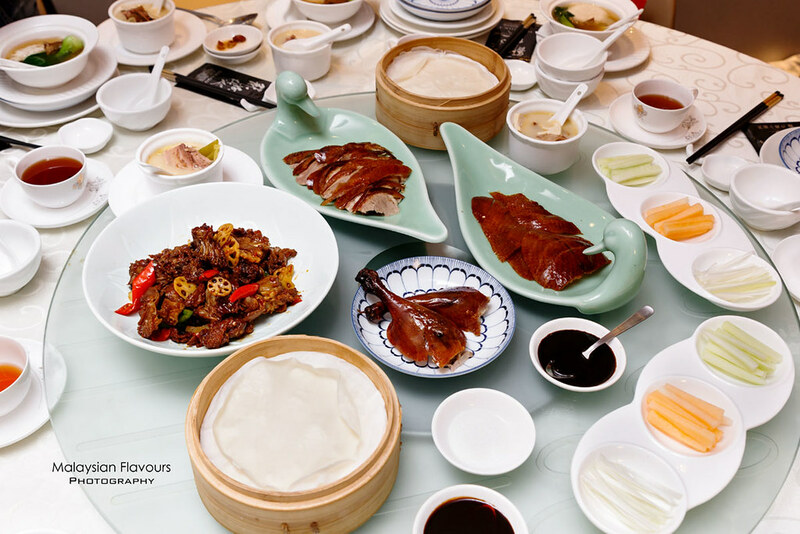 Huaiyang cuisines, one of the core menus in Dragon-i Peking Duck, is prides for its light taste, imparting natural flavours from fresh ingredients, along with intricate knife skills. 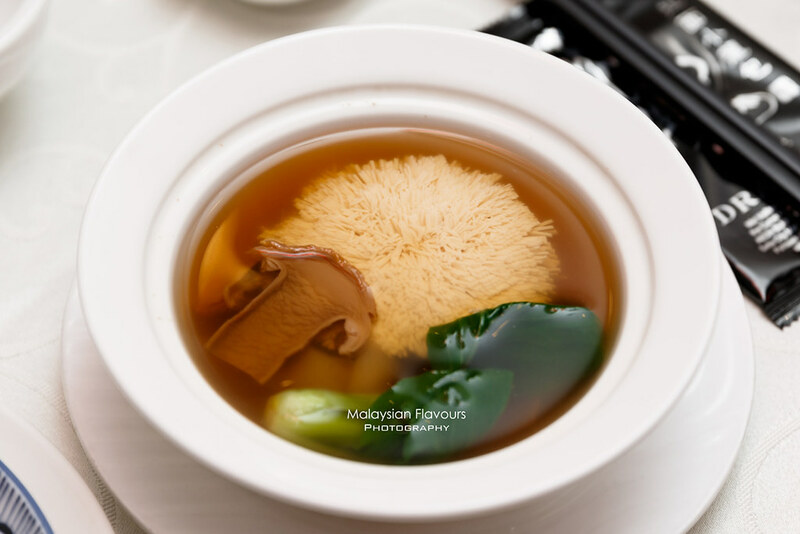 This Double-boiled Hydrangea Beancurd, Sea Cucumber and Matsutake is one of the examples. 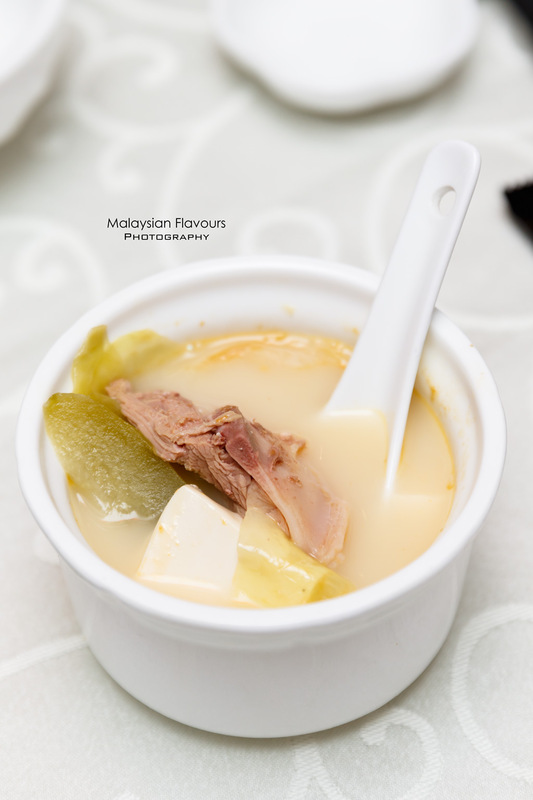 Beancurd sliced into 2800 thin shreds, forming chrysanthemum flower-shape when place in superior soup. Had few more pictures with this lovely this is a must, but we probably won’t count it. LOL. Anyway, loud applause to Drgon-i Peking Duck chef’s exceptional knife skills, precision, patience. Guess Summergirl can only slice out 10 from the tofu. 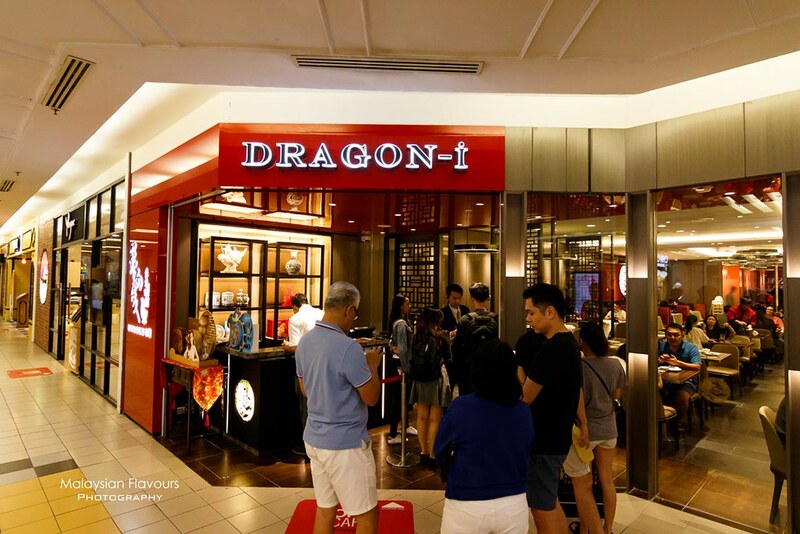 Talk about where to have Xiao Long Bao in KL, Dragon-i would easily pop-up in our mine. And yeah, even though Peking Duck takes the limelight in this outlet, their evergreen Xiao Long Bao is not shadowed! Almost each table have a basket of this, including us of course! Translucent skin, encasing minced pork shark, ginger, natural pork skin gelatin. If you observe closely, each of them is skilfully finished with 18 delicate folds! 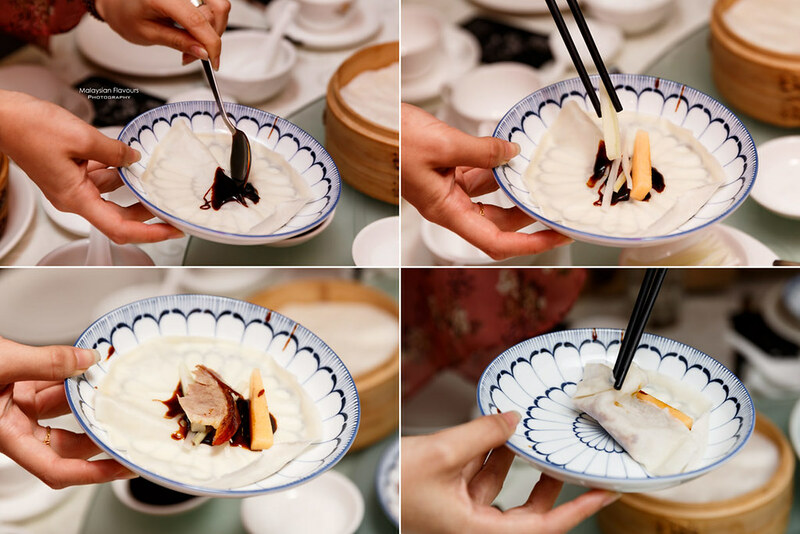 Lift up the dumpling and place on a spoon, give a light poke, carefully sip out the soup and eat everything together with shredded ginger and Chinese vinegar – some don’t like this condiment, but we do! The new black with a touch of gold. 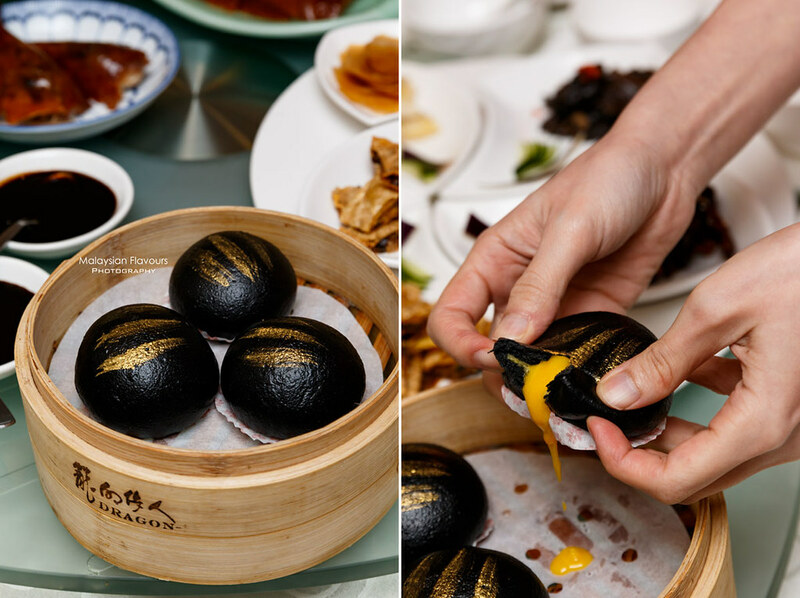 Molten savoury sweet egg yolk custard, generously filled in freshly made, fluffy soft bun made from bamboo charcoal. Give 2 baskets of this to Summergirl and she can finish all by herself, maybe you too can because it is so nice! That irresistible oozing moments of golden egg yolk…. 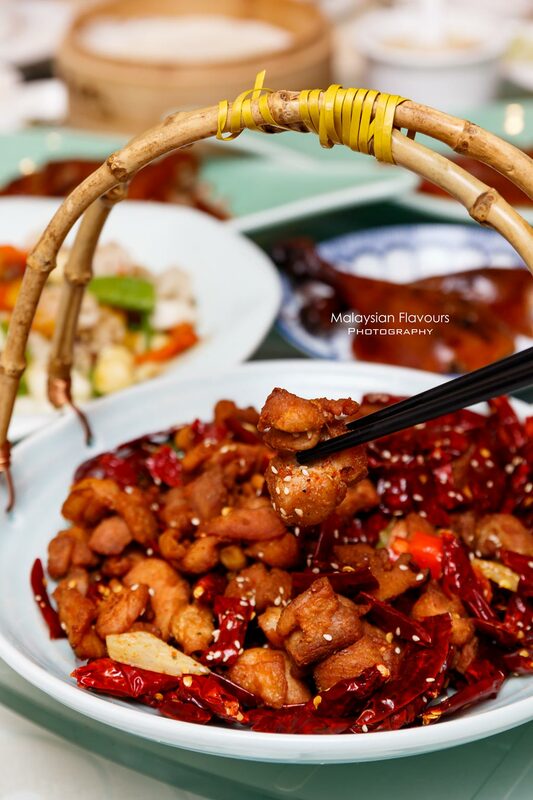 Other dishes you can find on Dragon-i Peking Duck menu include Sauteed Diced Chicken with Dried Flower Chilli in Szechuan Style, Stir Fried Diced Chicken with Walnuts in Soy Sauce, Braised Chicken in Taiwanese Style, etc.. Tried this improved version of the classic Sauteed Spicy Chicken 四川辣子雞 in the Szechuan cuisine. Chicken chunks are marinated and sauteed with chilli oil, then flash-fried with Chinese Peppers, Da Hong Pao Chillies and Dried Chillies to result in distinctive aroma, spiciness, and hints of ma la. Recommended. Feel like trying all of them? 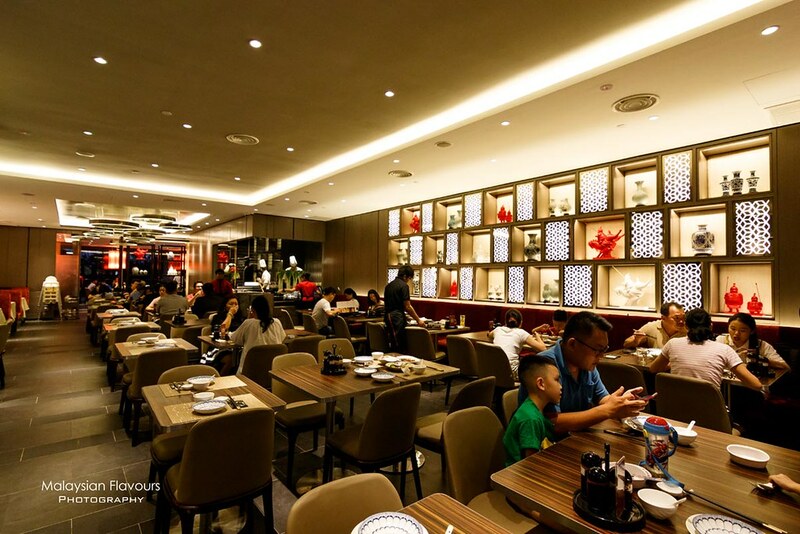 Head over to the new Dragon-i Peking Duck at One Utama Shopping Mall for a delicious lunch, dinner! Lou Sha Bao is must-try if you were here for dim sum breakfast.